The Torrot subsidiary’s first transmission was followed by more than a thousand fans and is to gradually build up content with games, tutorials and competitions, along with other exclusive material. 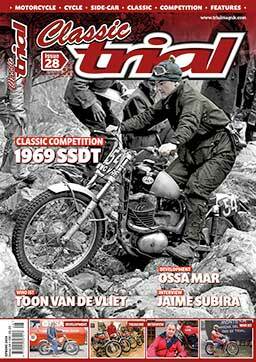 GasGas, Torrot’s subsidiary, forges ahead with its firm commitment to bringing the very latest technological developments to the off-road world and launches GasGas Live for fans to enjoy. This is an innovative digital platform where fans can follow GasGas riders in first person as they compete live and access exclusive content too. The innovative technological platform premiered on Sunday 11th with the transmission of the first round of the Spanish Trial Championship, held in the Alicante town of La Nucia, and which was followed live in first person by more than 1,000 people who had the feeling of forming part of GasGas and its trial team. The successful premiere of the GasGas Live videos comes at the beginning of the season. And thanks to GasGas Live, fans were able to accompany Jeroni Fajardo on his way to the podium to claim the second place, and Jaime Busto in fourth, making an excellent start for the GasGas Trial Factory Team. In addition to the live transmission of the National Trial championship, GasGas Live will also transmit the Spanish Enduro Championship, on March 24th. 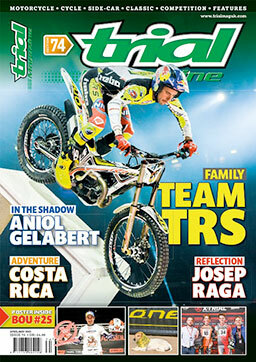 This digital platform – unique in the off-road world – also has a section with games and competitions to test the knowledge fans have about the GasGas universe together with exclusive audiovisual content, information about the GasGas Factory Team riders and will also gradually offer more content such as brand news, as well as tutorials that will work as a guide for the younger fans. With the launch of this platform, Torrot’s off-road subsidiary offers a virtual meeting point for the thousands of GasGas team fans. Here they will have a wide variety of content related to the world of enduro and trial at their fingertips, just one click away. You can access GasGas Live through the web. Montesa 4Ride shows all its potential at Bassella’s enduro race!